A favorite for the guys. SOLD INDIVIDUALLY NOT A PAIR. ﻿FREE SHIPPING to contiguous US states. The Ultimate Wrist Support is a favorite among boys. 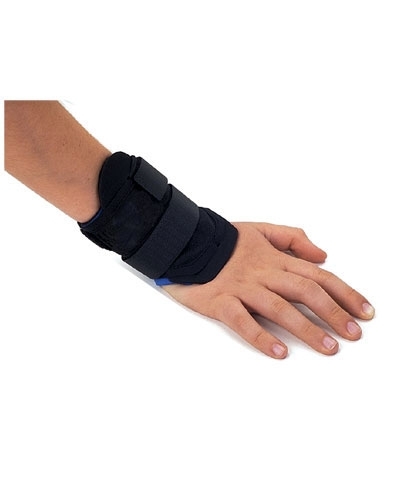 For major wrist problems this wrist support features interchangeable foam inserts which allows you to vary the degree of support. Cordura nylon outer shell adds extra stability. Cordura is extremely durable and does not stretch. 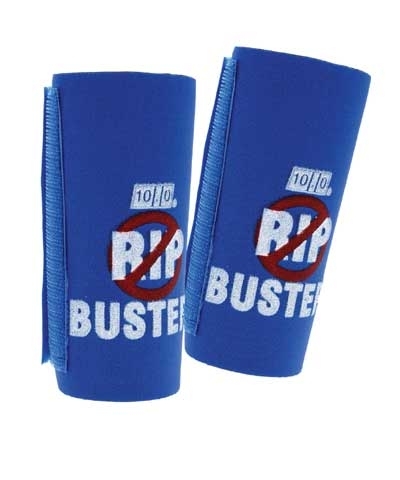 Neoprene lining completely surrounds the wrist for a padded fit without pinching. Provides excellent support for tumbling, vaulting, pommel horse and p-bars. ORDER FOR ONE OR BOTH WRISTS. Measure around the wrist just below the hand to determine size. Two direction hook-loop strap allows for a tapered fit without constant re-adjustments. 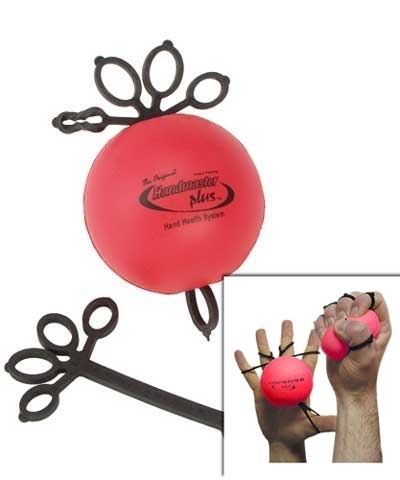 Mushroom shaped base supports both dorsal and lateral flexing of the wrist. Comes with one 1/8" and one 3/16" pad. Circular extension distributes weight evenly across the arm. Sizes: Small 5"-6.5", Medium 6.5"-8"